His natural affinity with the land stems from childhood visits to his grandparents’ home at Common Farm in the Derbyshire village of Muggington, but after a diagnosis of bowel cancer in 2004, gardening would become a key component in his recovery. 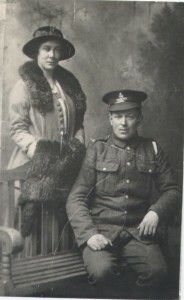 Grandfather, Thomas Francis Day, Royal Horse Artillery WW1 Walter Sidney and Francis Emily Day, ca. 1916 Thomas Francis Day Brian Day. 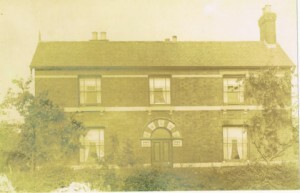 House at Victoria AVenue built by Thomas Brians Day's Family Dad Leslie, Mum Edna and Brian at their home as a small child. 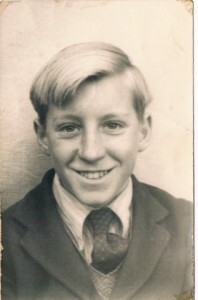 School boy Brian Day The Day Boys in World War 2. 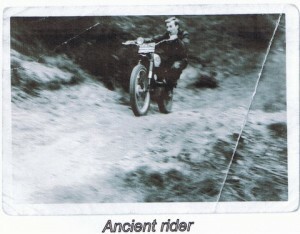 Brians’ father, Leslie Day, WW2 Gibraltar Alfred and Walter Xmas 1947 Brian Day - failed trials rider Brain Day in the Navy German Walter and his wife Anita Brian Day and Anita - Potsdam Brain Day enjoying retirmenet in Cornwall Brian Day and preseneter Carole Klein Maureen Day, Brian's wife. It might also be exactly what is to be expected of the great grandson of Thomas Day, from Carr Hill Farm in Ockbrook. He was therefore extremely surprised and intrigued to be informed that this anonymous relative, along with other members of his immediate family, had featured in an article called ‘The Borrowash Boys’ in The Derby Telegraph’s commemorative supplement to mark the centenary of the outbreak of the First World War. Walter Day, whose name is engraved upon the Ockbrook and Borrowash War Memorial died of wounds on 11th October, 1917; a casualty of the infamous Third Battle of Ypres, better known as Passchendale. He is buried in Lijssenthock Military Cemetery near Ypres, having served at the front for less than sixth months and leaving a wife, Frances Emily, and baby son Raymond, to continue life without him in Borrowash at their home in the Noah’s Ark pub. 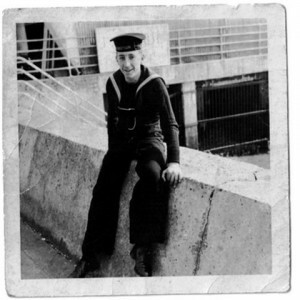 Raymond was born on 24th March 1917 and was just a week old when his father arrived in France to begin his war service. Apart from The British War Medal, The Victory Medal, and personal effects including miniature toy cannon, Walter’s son will have had few mementoes to keep of his father and no immediate memories. Brian knows little about what happened to his great uncle’s family including Walter’s grandchildren Paul and Zena and great grandchildren Martin and Hayley. It is impossible to predict with any degree of certainty what Walter Day might have made of his life; he belongs to a lost and long-forgotten generation; recalled from the mists of history because of the centenary of the most extensive carnage that the world has ever seen. Yet the path taken by his immediate relatives provides a clue, for like them, (and his great nephew Brian), Walter was drawn to the land. By the time he enlisted, and after a first job as a butcher’s errand boy, he was working alongside his father and elder brother at Carr Hill Farm in Ockbrook. 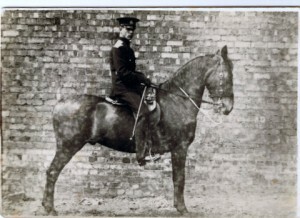 Walter’s father, Thomas was a farm labourer and waggoner from Gloucester who married Lizzie from Derby in 1884 and worked as a railway stableman before moving to Carr Hill Farm. 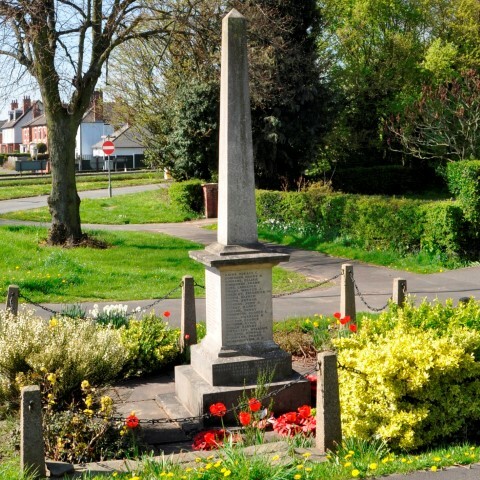 Thomas and Lizzie Day are buried in Breaston cemetery. Their eldest son, Walter’s brother and Brian’s grandfather, Thomas Francis, would carry on the family farming tradition. Born in 1885, Thomas Francis was two years older than Walter and by 1911 was married to Maggie and working at Carr Hill Farm. Like his younger brother, he had enlisted as a soldier, but unlike Walter, joined the South Staffs regiment and survived his wartime ordeal. Yet it was a near miss. Thomas Francis did not emerge unscathed, and will have counted himself lucky to evade Walter’s fate. 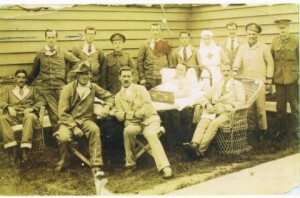 Brian’s grandfather was wounded in action and spent some time recuperating at the VAD hospital in the Ockbrook Moravian Settlement. He became a Prisoner of War and at the end of hostilities was hospitalised in Glen Parva, suffering from typhoid. After the war had ended, there was finally an opportunity to pick up the threads of ordinary life and Thomas Francis and Lizzie became parents to nine children; Thomas, Leslie, Frank, Reg, Ron, Tony, Marjorie, Dorothy and Nellie. 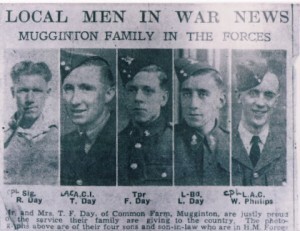 Thomas Francis, who had lost his younger brother in World War One and narrowly escaped the same fate himself, must have been tremendously worried about the safety of his four elder sons but there was nothing he could do about it. Muggington is roughly seven miles from Derby and its name, derived from Old English, and meaning that the farm belonged to Mugga or Mogga, is the key to its character. The original Mugga was an unknown Saxon who farmed in the area before the arrival of the Normans. Farming is still predominant in Muggington and parts of All Saints church date back to Saxon times. ‘My mother used to put me on the bus at Derby bus station and my grandmother used to meet me at the bus where it stopped right outside the farm. At an early age, I was taught how to milk cows by hand and also plough behind a horse which was so well-trained, all I did was hold the plough. A warm relationship with his grandparents must have gone some way to compensate for the privations of a wartime childhood when food was scarce and his absentee father was far from home, serving his country. Brian Day was born on March 1st 1938, the eldest child of Edna and Leslie and brother to younger siblings Margaret and Ronald. The family home was number 4, Field Lane in Alvaston and Brian’s earliest memory is of his first day as a five-year old at Wyndham Street Infant School. ‘I remember joining a long queue in the corridor where the children from the front of the queue were returning, clutching a small bag of sweets. I was worried that by the time I got to the front, there would not be any left. For a child with an empty stomach, an unexpected bonus of sweets sparked the most basic instinct of all – the need to survive. Fortunately, Brian’s father, Leslie, was amongst World War Two survivors and had been invalided out of the Army due to injuries sustained in Belgium during the course of action. Yet it took a while for the homeland to resume the paths of peace, and features of the war years lingered on. Hitler was dead but some of his troops remained; incarcerated in Prisoner of War camps throughout the country – including in Alvaston’s Boulton Lane. 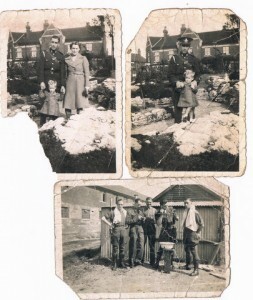 Brian’s grandfather, Thomas Francis had known what it was like to be a Prisoner of War in a foreign country; it had happened to him in World War One. He may also have felt some sympathy for the German soldiers of his own era, caught up, like British troops at the front – in a struggle not of their making. Had he been amongst the German and English soldiers exchanging cigarettes at a Christmas cease – fire over thirty years ago? 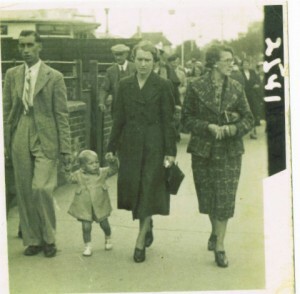 Could a father’s memory, passed down to his son, have influenced the magnanimity of Leslie Day when he contemplated the presence of a prison camp near to the family home in Field Lane and the plight of its inmates? ‘I think around 1947, you could invite two German POWs to Xmas dinner. My father thought it was now time to ‘move on’ and we had two prisoners round to have dinner with us, although we didn’t have much, due to rationing. Brian was nine years old at the time. He visited the nearby camp on several occasions and the generosity of his parents to a couple of ‘enemy aliens’ at Christmas, forged bonds of human kindness that have survived the passage of time and the triumphs and tragedies of life. Walter Day was lost to those he loved because he died in the First World War. Now, as if by fate, World War Two had given his nephew Leslie and great nephew, Brian, a lifelong friend – in the person of a German soldier – called Walter! The depth of the relationship became apparent when Brian’s father Leslie died suddenly in 1961, leaving the family ‘devastated’. When Brian retired from work, he decided to visit his father’s friend and do it in style! In an austere post-war period, Leslie and Edna Day had broken bread with two German Prisoners of War at Christmas. What had been taken from the Days in the First World War had, in its own strange way, been returned to them by the unforeseen events of World War Two. ‘On my first day at assembly, the Headmaster, a Mr Peach slapped me across the face for talking, which I was not! He should have gone to Spec savers! The years have not dimmed his feelings of resentment, but school number three, Shelton Lock Secondary Modern, fares better in retrospect. Brian admits that he enjoyed ‘playing football and cricket at every opportunity’ but plenty of sport did not act as an inducement to continue his studies. He left as soon as the law permitted and at the age of 15, started his first job at a textile manufacturing firm. He was soon job-hunting again in earnest, with the armed forces as first choice for a young man who liked outdoor activities. If Brian had yearned for a quiet life, he was in the wrong job, but there was no time to watch the clock. As a child, he had visited a Prisoner of War camp in Boulton Lane. ‘One special trip was to Leningrad on an exchange goodwill visit. Next, he was part of a nine month deployment in the Mediterranean, troubleshooting on the shores of Cyprus and combating the threat from EOKA, a Greek Cypriot nationalist paramilitary organisation, hell-bent on ending British rule and fighting for self-determination and union with Greece. Every second seemed to be packed with drama – but it was all to be short-lived. 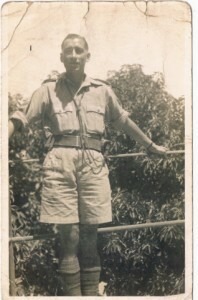 Whilst at base in Malta, Brian was laid low with stomach pains; admitted to Bhigi hospital and subsequently diagnosed with a stomach ulcer that did not respond to treatment. He was flown home to the Naval Hospital in Chatham and then discharged from duties. At the tender age of 20, Brian Day was back in Derby where he had started – and once more, without a job. Unsurprisingly ‘there was not much work for a Seaman in Derby’ and Brian had no career game-plan. He took a job as a porter at Easterns’ Furniture Store at the Spot in town and there was no guarantee that he would like the work. He had now found a professional niche and a sport he could enjoy, but Brian’s family was plunged into turmoil with the sudden death of Leslie. To be widowed without warning at such a young age was a blow from which Edna Day never recovered. 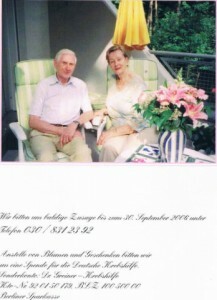 The family rallied round and German Walter helped out with money but her health was wrecked and she suffered a stroke a couple of years later. Tragedy struck again when Brian’s sister Margaret died suddenly shortly afterwards and by then, the prospect of recovery for Edna was beyond the bounds of probability. ‘My mother found it very hard to cope. My brother or I called in to see her every day and when I moved to Cornwall in 1971, my mother came to stay whenever she could. 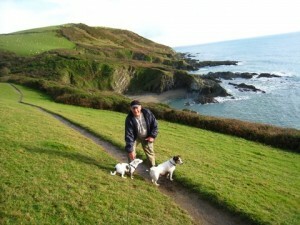 However, she was taken ill again and we decided to bring her to Cornwall to live with us, but it never took place. She had a heart attack and passed away. 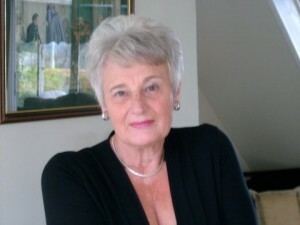 Her youngest child, Ron was later to follow the family pattern of dying early (at 64), but Brian was luckier. Shortly after his father’s death, the furniture shop, Easterns’ was taken over by Cantors’ and Brian was transferred to another outlet in Ilkeston. He packed, left and hunted around in Plymouth for temporary accommodation. Menheniot village in Cornwall has little in common with Alvaston’s Field Lane or anywhere comparable in Ilkeston and Burton on Trent. The main difference is that it is quieter, the pace of life is leisurely and Brian and Maureen enjoyed participating in their local community until Brian’s diagnosis of bowel cancer and a long period of hospital treatment. In recovery, his instinctive love of the natural world came to the fore and tending a garden was the best antidote to hospital wards. It was an exciting prospect, although the garden was not at its best in winter and when ‘a lady came round with a huge camera, had a chat and filmed’, he showed her some photographs of everything in full bloom and his visitor appeared to be impressed. Brian and Maureen were looking forward to some photographs and maybe a small feature about their garden in the local newspaper; something to show to friends and family – and had no idea that the mystery photographer was on a scouting mission from BBC2! ‘Open Gardens’ was a Twofour production for BBC2, featuring the National Garden Scheme. The Scheme was launched in 1927 with the aim of opening private gardens to the general public to raise money for charity. In its first year, 609 private gardens opened their gates to the public and £8,191 was raised for charity. By 2013, over 3,700 gardens were declared ‘open’ and over £40 million has been raised during the course of 87 years. The Scheme is now highly structured with a team of ‘County Organisers’ on hand to inspect potential entrants to ‘The Yellow Book’ – a visitor guide to the gardens judged to be of sufficient quality and interest to attract the public. 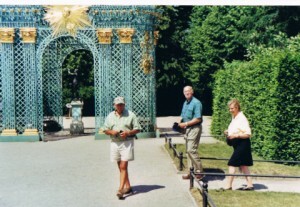 ‘Yellow Book’ gardens open once or twice a year and admission fees and other monies raised are administered via The National Gardens Scheme Charitable Trust. The Prince of Wales is the current patron and cancer charities features prominently amongst the beneficiaries. The thought of helping to raise money for organisations such as Macmillan Cancer Support gave Brian added incentive. When he received a telephone call ‘saying they would like to start filming in February with Carol Klein and film about four hours a month until June’, he had no hesitation and prepared for action. Appearing in any ‘reality TV’ programme – especially one involving a competition might be stressful for most people, but for Brian it was a health cure. The fact that he was a cancer patient in recovery ‘gave the producer a story line’, but Brian blossoms; tending every inch of the land with a meticulous attention to detail, surmounting crises like an empty garden bed and a dead patch of hedge, weeding and planting with presenter Carol Klein, or pottering purposefully while the viewers feel the heat, as Prokofiev’s ‘Dance of the Knights’, the theme tune of ‘The Apprentice’ pounds away in the background. The visit of the County Organiser is a thing of dread and as Glynn marches around the garden with an inexorable tread, smiling and frowning in equal measure, the viewer is skilfully kept on tenterhooks about the outcome. 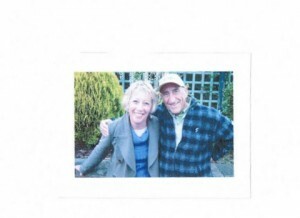 The bouquets were fulsome, but Brian is just grateful for the experience of working with Carol (‘an absolute joy) , the fact that he will be able to send the DVD of ‘Open Gardens’ to German Walter and best of all , that he has raised money for some of his favourite cancer charities. In 2014, Brian Day, retired salesman and resident of Cornwall, is separated by generations from his Derbyshire forbears; yet surely a garden in Menheniot is linked to the farms in Ockbrook and Muggington by the inherited instinct of the man who tends it and makes things grow. Thomas, Thomas Francis, and Walter were men of the land; their way of life circumscribed by the cyclical rhythm of the seasons. In 2014, the anniversary of the outbreak of World War One served to reacquaint Brian with the name of a great uncle he had never met. Just as German Walter came, inadvertently, to fill a gap in the Day family belonging to his long-dead English namesake, it is perhaps fitting to remember that life itself follows a seasonal pattern. Just as Walter Day was ‘untimely ripped’ by World War One from his natural way of life, supporting his family by cultivating the land; cultivating a garden a century hence has restored his great nephew Brian to health.